Join us for an evening discussing the supernatural with author Richard MacLean Smith. Demonic possession in 1970's Germany. To this day, these real life mysteries and very many more evade explanation. 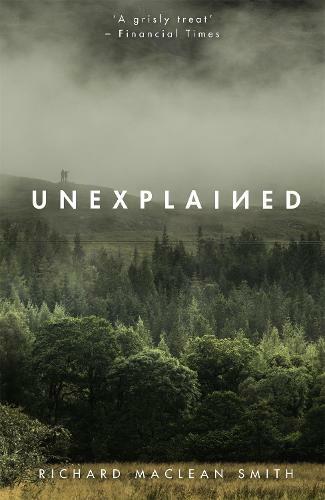 Based on one of the most successful paranormal podcasts ever, with over 10 million streams and downloads to date, Unexplained consists of ten chapters focussing on a different paranormal event, from Australia to Germany, the UK to Zimbabwe, using the stories as gateways to a journey beyond the veil of the uncanny, exploring what they reveal of the human experience. Taking ideas once thought of as supernatural or paranormal and questioning whether radical ideas in science might provide a new but equally extraordinary explanation, Unexplained is The Examined Life meets The X Files. Richard will be signing copies of the book after the talk. Tickets for this event are available online from the bottom of this page, by emailing events.brighton@waterstones.com, by calling 01273 206017 or by speaking to our ground flooe booksellers.